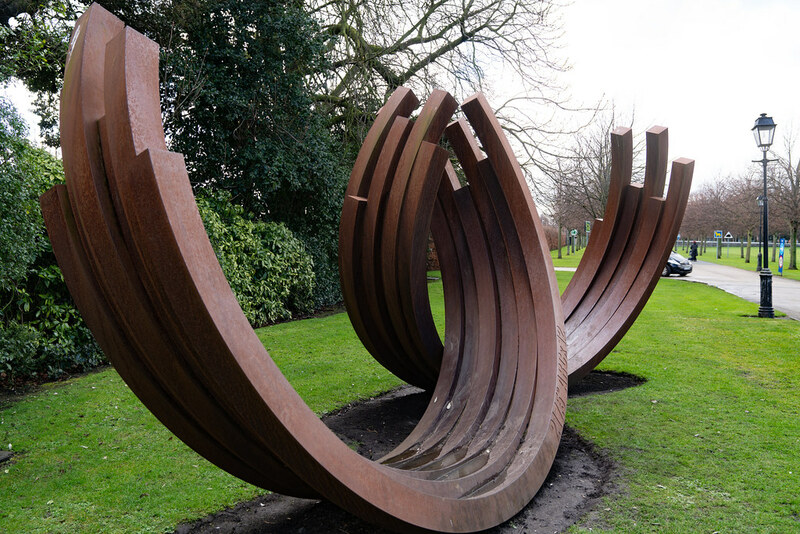 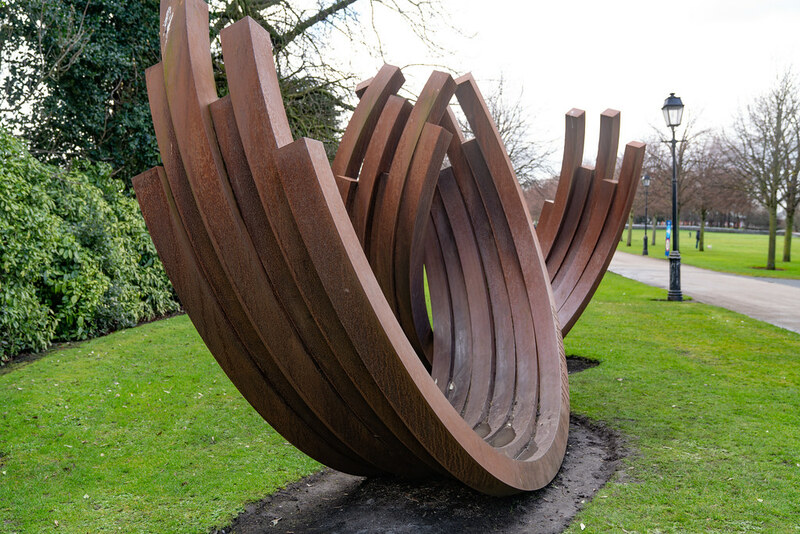 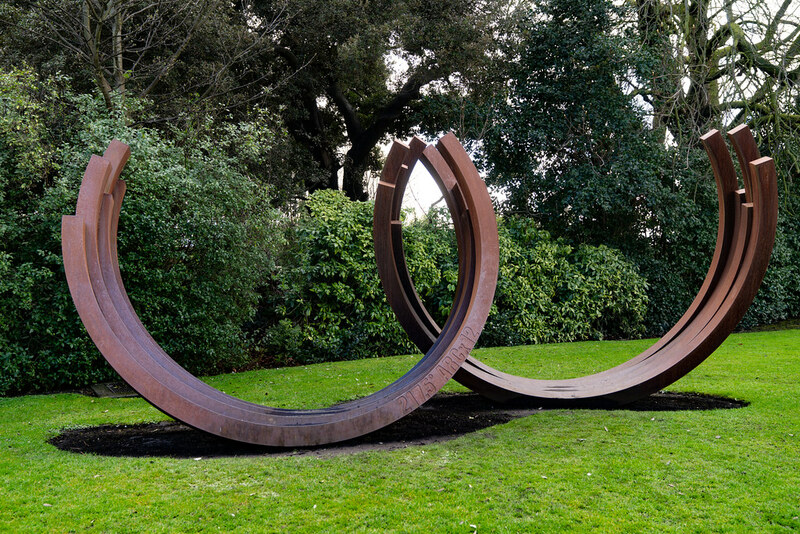 Bernar Venet (born 21 April 1941) is a French Conceptual artist who has exhibited his works in various locations around the world. 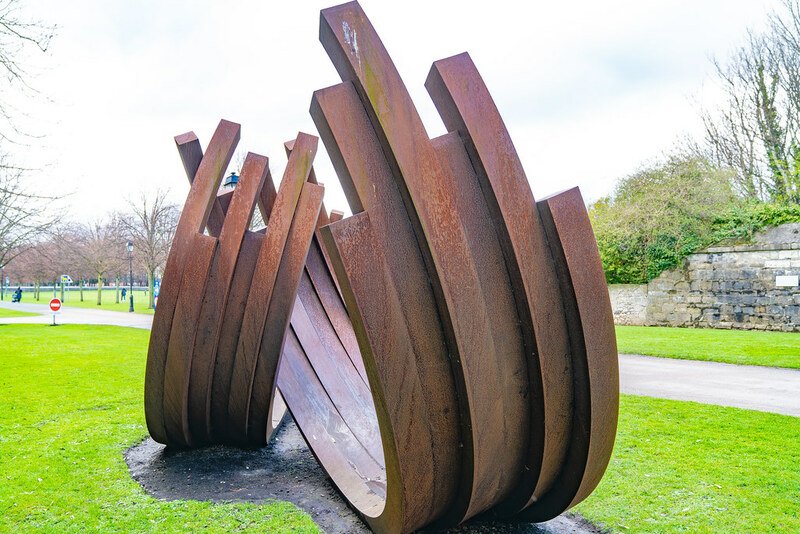 Weathering steel, best-known under the trademark COR-TEN steel and sometimes written without the hyphen as "Corten steel", is a group of steel alloys which were developed to eliminate the need for painting, and form a stable rust-like appearance if exposed to the weather for several years. 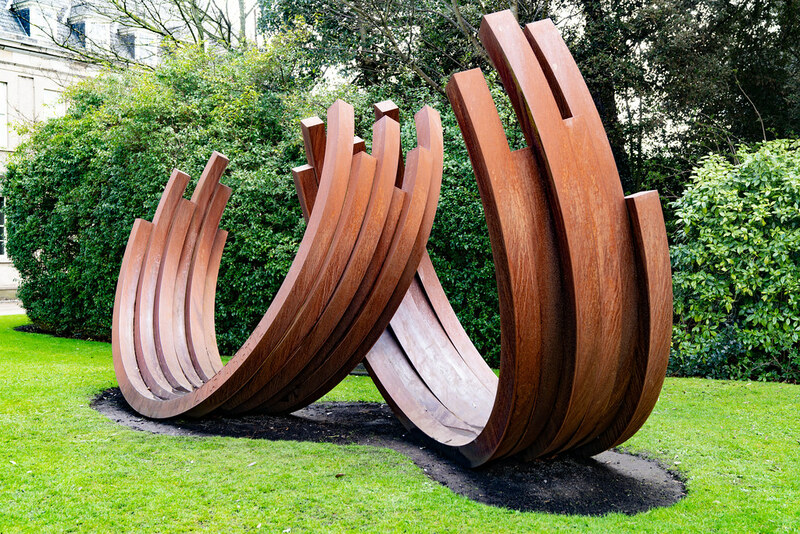 Corten steel made its first impressive appearance on the world stage in the 1960s when the Finnish-American architect Eero Saarinen used it to create a four-building complex for the John Deere headquarters in Moline, Illinois.